Wolfgang Voigt is a pioneer of intelligent and conceptual dance tracks which he combined with traditional German music such as carnival music or polka. As mastermind behind various pseudonyms such as Mike Ink, Gas or Studio 1, he helped establish Cologne as well as Germany as an epicentre for Minimal Techno. He co-founded the record label Kompakt in 1996 which gained an international reputation for electronic music of the highest quality. 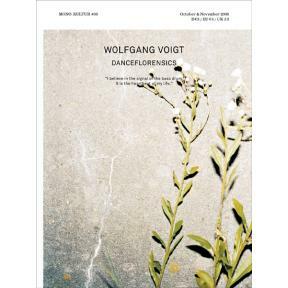 In short: without Wolfgang Voigt, electronic music in Germany would have taken a different course. With mono.kultur, Wolfgang Voigt talked about the state of techno and club culture, what the kettle drum and electronic music have in common and his plans for the future. The issue features exquisite photography of Germany by Juergen Teller set against a typographic rhythm shift and is printed on no less than four different stocks of paper.